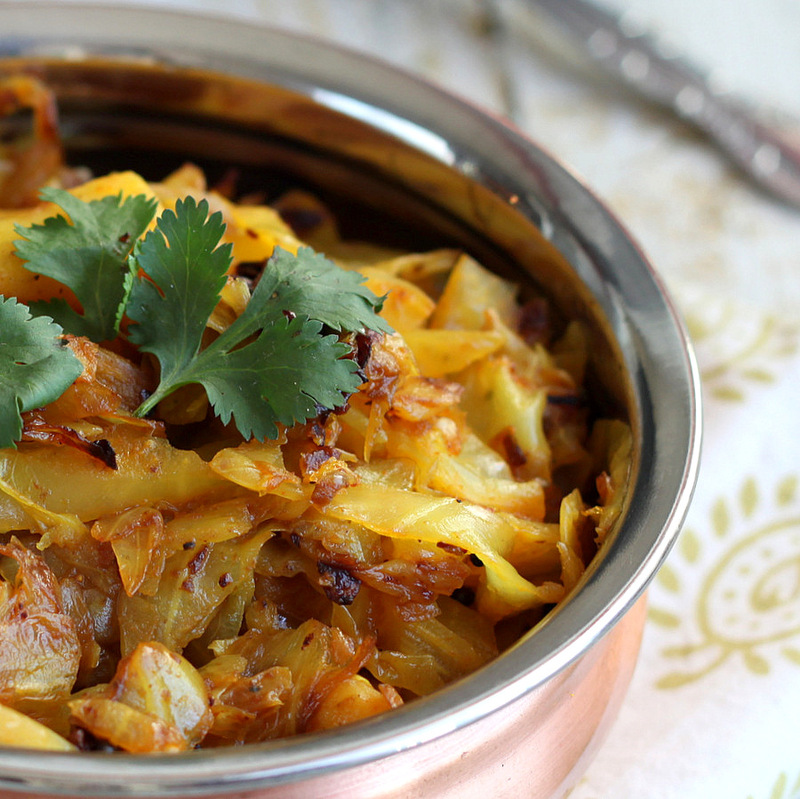 Patta-Gobhi is Cabbage and Gobhi is Cauliflower. Aloo is potato. 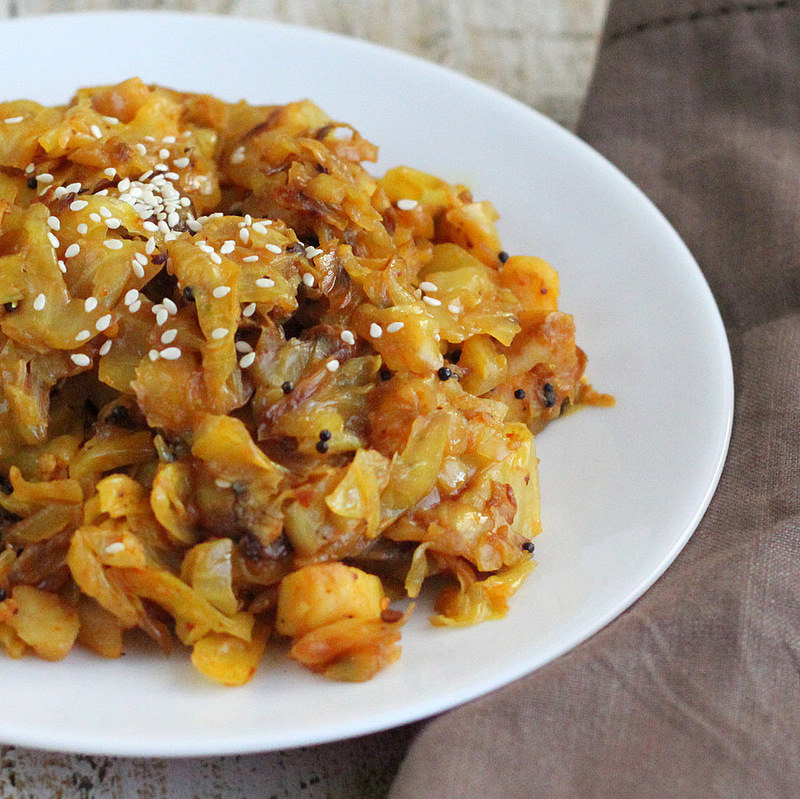 So this is Spicy Cabbage and potatoes. Piri piri or peri peri or pili pili is a red hot African Red Chili. The Piri piri blend used in this recipe is from World Spice market near Pike Market in Seattle. The blend has the African Red Chili, Pequin and Ancho chiles, dried tomato and lemon. When I say it is hot, it is hot! Just a little bit goes a long way in adding the heat and the flavor to the dish. 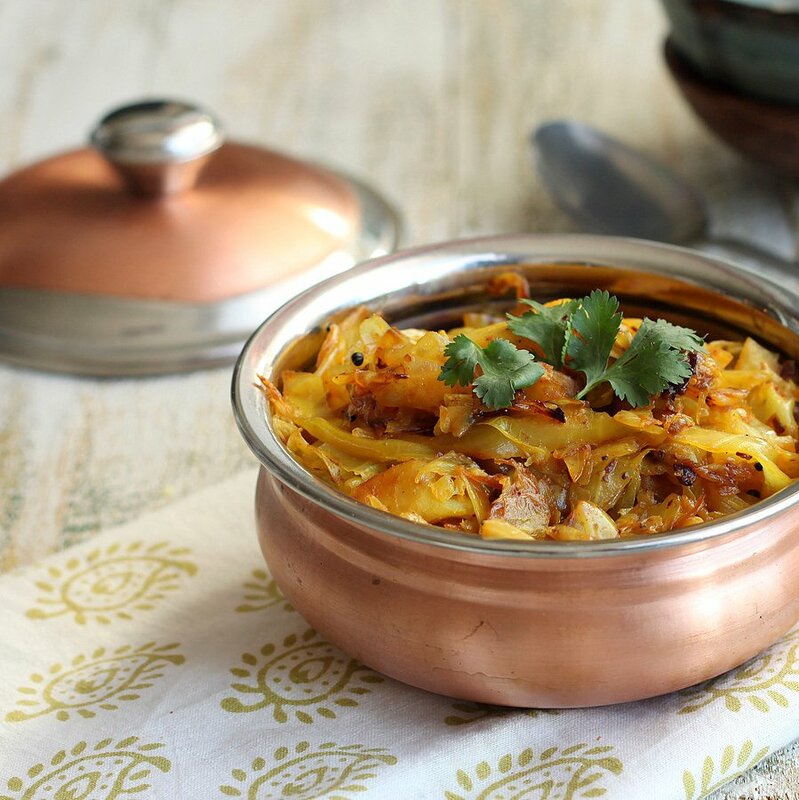 Use according to taste:) The blend makes a great addition to anything roasted.. cauliflower, tempeh and the lot and adds an amazing punch to the everyday Daal stews too. Is it just me, or there is something in the air this month. Crazy congestion, headaches and horrible balance, thy name in January 2013. When I say balance, I mean the capability of the brain to match all signals from the eyes, legs, skin and so on to tell me where everything is, so i can walk. If you see someone walking real slow in Seattle, and stopping, leaning on one side or stomping her feet, that would be me. Trying to get the feedback from my feet communicated to my brain. uhhh. I think it is all because I skipped on my anulom vilom(breathing exercises) all December.. Better buffalo Mozzarella by Miyoka- Need to try this one. Julieanna has her own TV show! 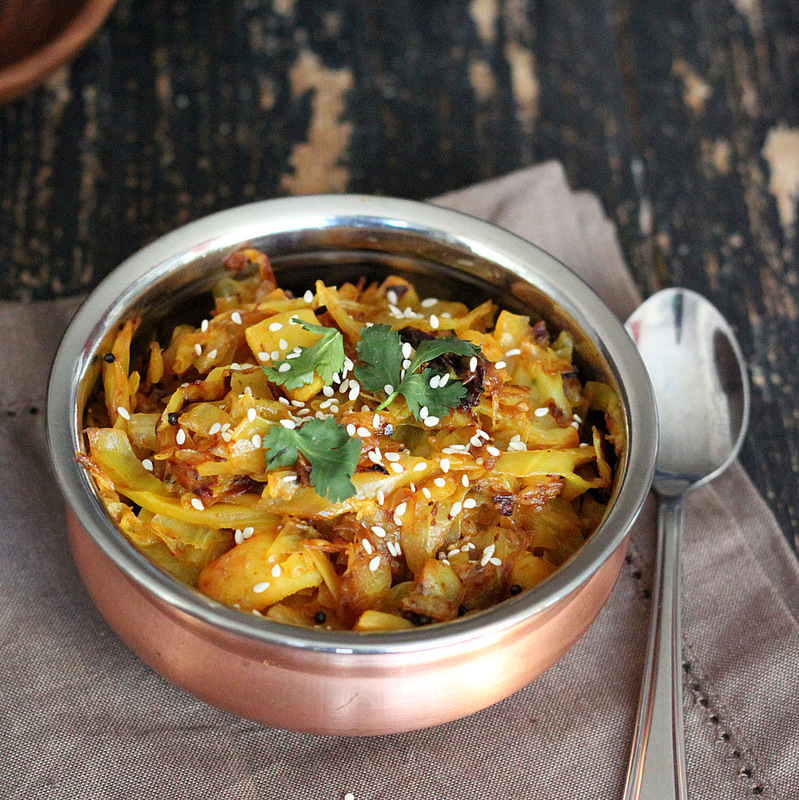 For more Indian Dry Subzi/Veggie sides see here. Add mustard seeds when hot and mix for a few seconds. Add garlic and cook for a minute. 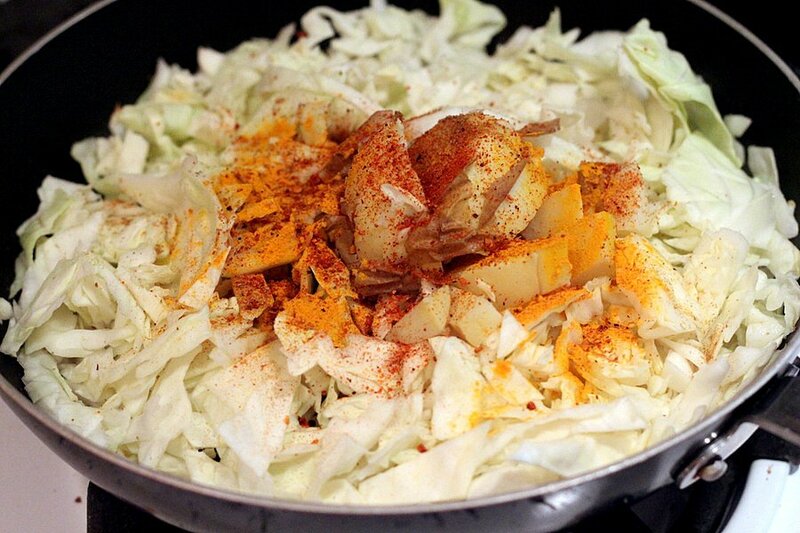 Add the Cabbage, potatoes, turmeric, Piri Piri blend, salt and mix well. 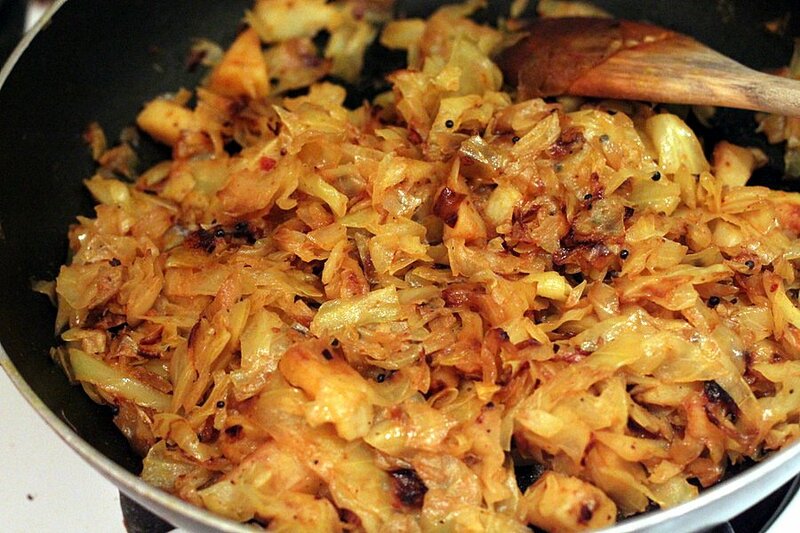 Cook covered for 12-15 minutes on low heat, stirring occasionally, until Cabbage is cooked to your preference. Serve hot, topped with fresh Cilantro or sesame seeds. Allergy Information: Dairy, Egg, corn, soy, yeast, nut, gluten free. Add mustard seeds (or cumin seeds) when hot and mix for a few seconds. For variations, add peas, chopped carrots, cooked chickpeas. Change up the spices, use cumin seeds or fennel seeds or a little garam masala. Serve hot topped with fresh cilantro or sesame seeds or coconut flakes, as a side with Lentil Daal and Roti or Naan or Rice. 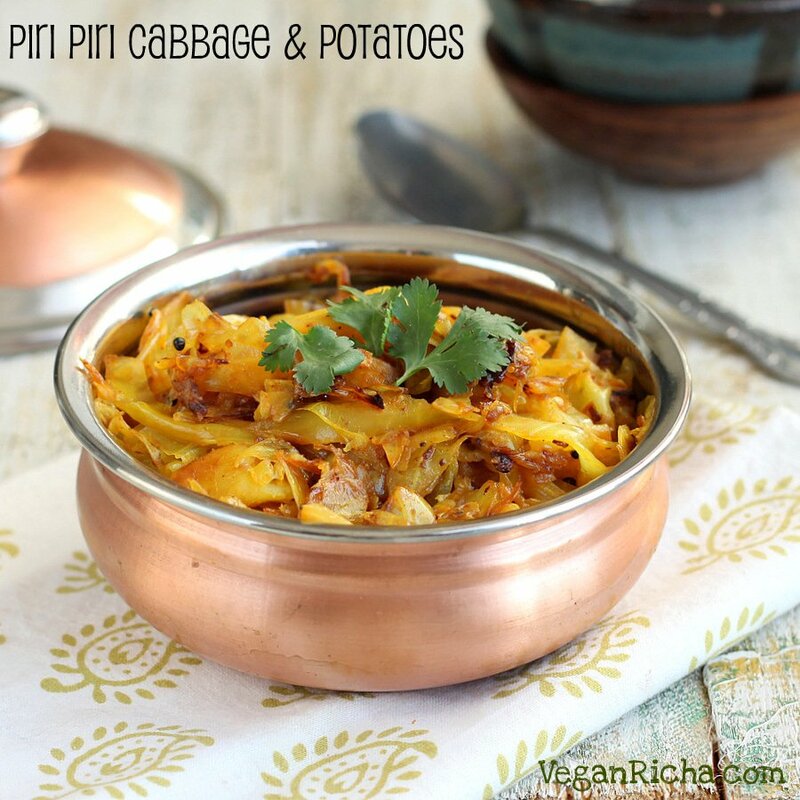 so simple and tasty.i make this a lot with indian spices and we add coconut. I am borrowing your link – http://www.thisveganlife.org/10-common-objections-to-going-vegan/ Very relevant to a recent discussion I was having with a friend. i never heard of piri piri spice, but it sounds awesome! i’ve been very much in a cabbage mood lately, and this looks right up my alley! The air is heavy with something for sure.. I hope we both feel super soon too! This is my go to dish most weekdays. My version is tad bit different, but I like yours too! This sounds so simple and delicious! My favorite type of recipe! Great post and lovely photo! this is what you meant by balance. i thought something else to do with left brain and right brain. i have piri piri chilies and they are way too hot. would experiment them adding to dal or sabzis. something which i have never done. Your balance might be playing you up, but at least the dish looks perfectly balanced. Cabbage and potato were made to go together – extra bonus points for anything you can wander off and read a book for a bit in the middle. Interesting that mention kofta – have you got a recipe? I am so sorry to hear that your balance problems are acting up! Hopefully things will get better soon! In other news- YAY for potatoes! 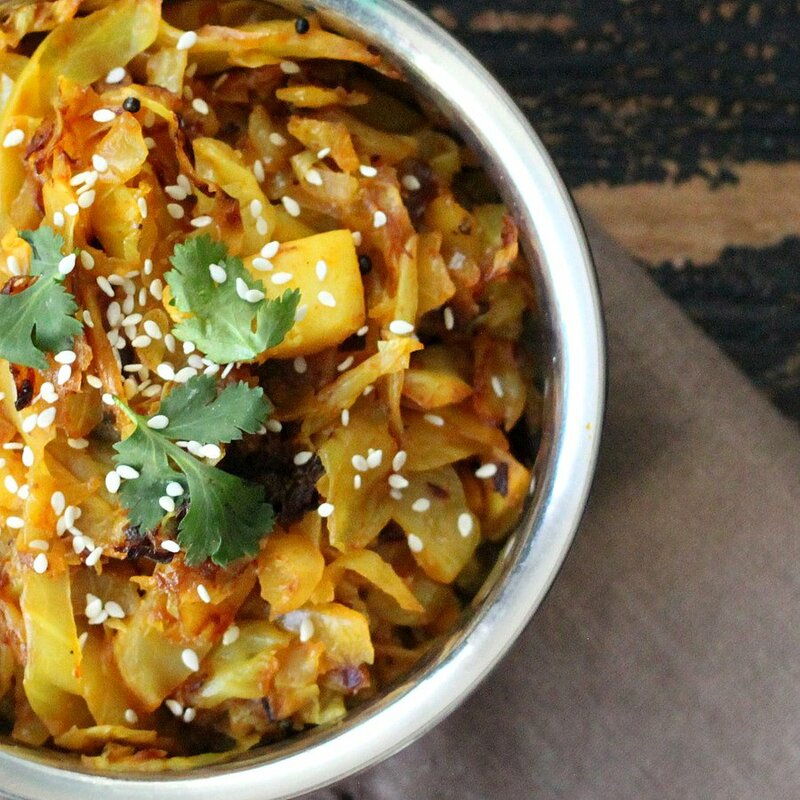 This looks like such a comforting dish- I want a big ol’ bowl right now! I am new to Pinterest. I have high cholestoral and trying to eat more healthy. This receipe looks very good. I can not have the hot stuff, but will try it with out. I will let you know how it turns out. Nana4boyss.